Grove is for those who need some extra help in managing their finances. Much like a personal fitness trainer, Grove will work with you to create an actionable financial plan. You’ll be paired with a certified financial planner who will continue to check in on you and your progress and provide any more guidance when necessary. As an added plus, Grove members can add Grove Invest to more optimally and passively manage their investments. Grove’s annual membership fee can be steep for many, so it’s important to determine whether you can afford it and whether you really need the advanced financial help. You may even find that you want an advisor whom you can meet in person instead. In that case, there are tons of financial advisors out there who can help you with your specific financial situation and goals. Customers who need personalized financial guidance and want to manage investments with the same company. Membership fee costs more than most robo-advisors' annual percentage fee. Pricing: How Much Does Grove Invest Cost? To get started with Grove Invest, you’ll need to buy into a Grove membership. This annual fee is typically $900, although as of this writing, you can get a limited-time $300 discount. A $900 annual fee is pretty steep, especially compared to many other robo-advisors. However, Grove membership does include some big perks like having a certified financial planner on your side. Once you have a Grove membership, you can then add on Grove Invest. If your assets total $100,000 or less, Grove Invest is free. When your assets exceed $100,000, you’ll pay a 0.25% annual fee. This fee only applies to the amount above $100,000, though, rather than the whole balance. For example, if you have $100,500 in your Grove Invest account, you’ll only pay the 0.25% fee on the extra $500. That totals to an annual fee of $1.25. This fee is in addition to your Grove membership fee. Once you have a Grove membership, you can also take advantage of Grove Invest. Right off the bat, you and Grove are at an advantage since the company has already taken the time to get to know you and your financial goals and situation. That way, it can immediately apply that knowledge to your more specific investing goals, like your risk tolerance. Grove also takes into account what you’re investing for, whether retirement savings or just for some extra income. Grove Invest focuses on reducing risk, lowering fees and increasing tax efficiency in your portfolio. To lower your potential risks, Grove diversifies the investments within your portfolio. This means that not all your investments are tied to a single market or country. That way, should a certain market crash or see a huge dip, not all your investments will be affected. Grove also prevents you losing too much growth due to fees and taxes. It does this by finding investments with high returns and low management fees. Then in case of any losses, Grove can use those to offset your capital gains to potentially lower your tax bill for that year. Grove Invest is part of the bigger financial service Grove, which bills itself as a personal trainer for your finances. To start, let’s take a look at what Grove has to offer. A big plus to Grove is you immediately start working with a certified financial planner. This means you get to speak to a human professional about your finances and your financial goals, rather than only taking an online quiz or using an online calculator. Grove will work to pair you with an advisor that matches your preferences, too. That way, you and your advisor can really work on the best financial plan for you. This includes planning to buy a home, setting aside savings, taking advantage of company benefits and much more. Then if you want to get into investing management, you have Grove Invest at your fingertips. Grove Invest is still a part of your regular Grove membership, so you can access all Grove products and accounts with one log in. Once you’ve started with Grove Invest, the company’s experts can create a diversified portfolio that keeps fees, taxes and risk low. Grove will also be sure to work with you to ensure your portfolio also fits your personal preferences and goals. Grove Invest is for Grove members who also want the company to optimize and manage their investments. Grove members already benefit from Grove advisors, planning and guidance, which includes investing help. Grove Invest provides an opportunity for customers to invest without stressing about all the buying, selling and strategizing that comes with investing. That doesn’t mean that you won’t have any control or say over your portfolio, though. Grove will always keep you in the loop on your investments to ensure your portfolio continues to reflect your financial goals. You should make sure you can afford the fees before signing up. Grove membership without Grove Invest typically costs $900 each year. When you add on Grove Invest, you’ll pay an extra 0.25% on asset amounts over $100,000. Charging a fee for amounts over $100,000 does mean that those of us who can’t reach that amount can take advantage of Grove Invest for free (besides the Grove membership fee). Luckily, Grove doesn’t require any minimum amounts to start an account or start investing. That means you can start investing with as little as $20. Your Grove Invest portfolio is included in your account as part of your overall financial plan, so you don’t have to maintain separate accounts. To start with Grove, you’ll fill out an online profile and sync your bank accounts. Then, you’ll be paired with a Grove CFP® to discuss your background, financial situation and goals. Together, you’ll create a personalized and realistic financial plan. This plan includes all aspects necessary for your financial health like saving for retirement and investing. You’ll typically receive your finalized plan within two to four weeks. Just like any good financial advisor or robo-advisor, Grove will monitor your progress and accounts. This will help hold you accountable for being responsible with your money. It also means that Grove can help you make adjustments to your plans whenever you need. Grove Invest takes all the information from your Grove membership to create the best investment portfolio for you. This means finding the right investments for you, keeping fees low and optimizing your money allocation. You can sign up for Grove Invest by clicking a “Get Started” button or simply by letting your Grove advisor know. Signing up for Grove Invest involves its own set of paperwork. After that, you can set up and fund your accounts. Grove Invest is unavailable to anyone who is not already a Grove client. This means you can’t sign up for Grove Invest services without also paying the $900 membership fee for Grove Financial Plans. The pricing schedule may also be a drawback for potential customers. Grove Invest’s 0.25% annual fee does fall on the more affordable end of the robo-advisor fee spectrum. Plus, this fee is only charged on amounts over $100,000. However, the Grove membership fee of $900 is pretty high. This outstrips the typical robo-advisor annual fee, although that depends on percentages and your asset amounts. You do get a lot with Grove, like access to a CFP® and a personalized financial planner experience. It’s just important to determine whether you can afford the fees before signing up. A solid competitor to Grove Invest’s offerings is SoFi Wealth Management. For starters, SoFi is a lot more affordable and accessible than Grove. There may be a higher minimum balance of $100, but your account is free to use until you reach a balance of $10,000. This leaves a lot of room for customers with low balances to still benefit from SoFi’s free services. This deal is even better for existing SoFi customers who don’t have to pay a fee no matter the balance. You’ll also have access to live SoFi Wealth Management advisors to help you along the way. Another more affordable robo-advisor option is Wealthsimple. Wealthsimple offers access to human financial advisors along with investment management, like Grove Invest. With Wealthsimple, you also don’t have to worry about a huge annual membership fee. Instead, you pay a relatively low percentage of your assets each year. Your first $5,000 is free. After that, you’ll pay 0.50% on balances up to $100,000 while balances over that amount carry a fee of 0.40%. There is also the chance that a robo-advisor isn’t quite right for you, whereas an in-person financial advisor might be. 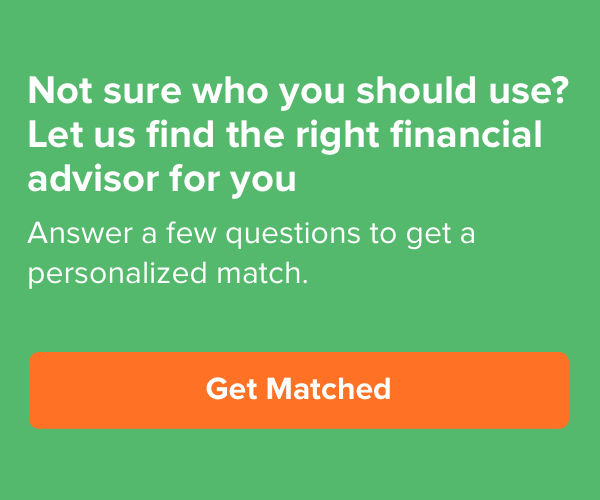 SmartAsset can help you find an advisor who’s just right for you with our SmartAdvisor tool. First you can take our quick questionnaire to establish what you’re looking for financially and in an advisor. We’ll then match you with the up to three advisors in your area based on your given answers. Finally, you can use our online tools or concierge service to book an appointment with your future financial advisor. We’ll work to find you the right advisor who has the experience to best help you and your best interests. Bottom Line: Should You Use Grove Invest? Grove Invest isn’t for you if you’re just looking for a robo-advisor to manage your investments. Robo-advisors allow you to be pretty hands-off with your investment portfolio. Grove Invest does the same, but you cannot be entirely passive with your Grove Financial Plan. And since you have to be a regular Grove member to use Grove Invest, it’s not the most passive investing option. Grove provides much more than robo-advisor services. Billed as a personal trainer for your finances, Grove stays involved in your life and your finances to help you manage your money responsibly. This level of personalization and involvement does come with a much higher price than you’ll see with most robo-advisors. You’ll do best with Grove if you can afford its fees and can really benefit from all its services.